Sometimes the deal for new parking meters can be sweetened with the promise of local revenue for projects. Parking congestion is a constant source of frustration in many growing urban neighborhoods and downtowns, but the best-known cure — charging a price for curb parking — is about as unpopular as the affliction. When commercial corridors begin attracting more customers, or neighborhoods see an influx of new infill housing, residents who once had an easy time parking for free or for cheap on the curb increasingly find those spaces occupied by visitors or new residents. But pro-turnover policies that turn free parking into paid parking, or raise existing parking prices, still tend to be unpopular for two main reasons: People don’t like to pay for what they’re used to getting for free, and the revenue typically doesn’t fund any immediately tangible benefits. But it turns out that there is another powerful, countervailing force that, if cultivated correctly, can be harnessed to blunt the strength of territorial parking politics: Greed. As UCLA professor Donald Shoup explained in his cult parking economics tome “The High Cost of Free Parking,” some cities and downtown business associations have discovered that it’s much easier, politically speaking, to introduce new parking meters or permits when the impacted areas are allowed to keep some of the revenue generated within the neighborhood to pay for extra public improvements and services. The prospect of a dedicated, ongoing local revenue stream for neighborhood projects becomes enticing enough to residents and businesses, and they become a countervailing force in support of parking meters. Those public improvements in turn attract even more visitors, which generates more parking revenue in a virtuous cycle of redevelopment. In different cities, Parking Benefit Districts (PBDs) come in different shapes and sizes, but what they all have in common is that they fund visible local public improvements in the places where the revenue is raised. As Pittsburgh looks toward establishing its first PBD, examples from Portland, Austin, and Old Pasadena can provide some context on creative ways cities are building public support for better parking management. Mayor Peduto’s administration in Pittsburgh is planning to fund public safety improvements on the city’s South Side — a nightlife magnet that endures more than its share of wear and tear — with revenue from extended parking meter hours. “People come in from all over the region to the South Side on a weekly basis to patronize our businesses, and that kind of traffic has an impact on the neighborhood,” says the mayor’s deputy chief of staff John Fournier, who’s been developing the framework for a parking benefit district for the neighborhood. Without much wiggle room in the city’s general fund, officials began exploring the idea of extending parking meter hours and dedicating the additional revenue to services in the district — think more cops on the street, pedestrian improvements, wayfinding signage — which presumably would be paid mostly by evening revelers from outside the neighborhood. Think of it as a hyper-local commuter tax. Fournier explained that a parking benefit district isn’t just a revenue-raiser, but smart transportation management as well, since parking demand is still higher than usual on the South Side past 6pm. “Specific details, like the list of projects to be funded and the boundaries of the district, will be shaped by conversations with the community, Fournier said. Unlike some other types of Parking Benefit Districts that have direct control over the use of revenue, the funds for Pittsburgh’s South Side will stay in a separate account and won’t be granted out to third party organizations and non-profits. In Portland, Oregon, a stakeholder committee formed to overhaul the city’s parking permit policy unanimously endorsed a framework that would give neighbors an option to keep more revenue in the neighborhood. If adopted, the new framework would allow neighborhoods to opt in to permit parking, but also set aside some of the proceeds for neighborhood projects, which wouldn’t necessarily be restricted to a specific spending priority like public safety and pedestrian improvements as in Pittsburgh. The committee also recommended that the city sell only a limited number of parking permits in each neighborhood—as many permits as there are on-street spaces, or less. Whether the permits would be distributed by auction or some other process is still up in the air. The committee recommended tying each permit to a specific vehicle or set of vehicles, to prevent a side market in parking permits from developing. These kinds of decisions would be made by an Area Parking Committee chosen by neighborhoods who’ve opted in to permit parking. Area Parking Committees would also decide on the price of the permits, with the flexibility to add a neighborhood fee onto the base price, to fund neighborhood projects. Each participating neighborhood would choose from menu of projects like sidewalk repair, lighting, and pedestrian and bike safety improvements not currently on the shortlist for public funding, and dedicate the parking revenue to the local favorites. As in Pittsburgh, the revenue would remain in an account managed by the city, rather than transferred to third-party groups like business improvement districts, CDCs, or neighborhood civic associations. Parking Benefit Districts in Austin, Texas are distinct from these other examples in two ways. First, about half the revenue goes to the city’s general fund. After city expenses are covered, 51 percent of the proceeds are set aside for the district, and 49 percent becomes general revenue for the city. The minimum size for a district is 96 spaces, and there’s a thorough process for the neighborhood and the city to vet proposed districts. Second, city law also requires that the revenue be used to “promote walking, cycling, and public transit and public transit use within the district.” It can also be used in conjunction with other city funds for larger projects. Austin began experimenting with Parking Benefit Districts in 2011 in response to West Campus neighbors near the University of Texas who reached out to the city seeking relief from students stashing their cars long-term on residential streets. 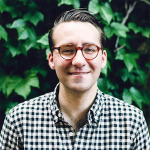 “They had students parking literally for semesters, and they’d get no turnover because it was all free parking,” recalls Steven Grassfield, the city’s Parking Enterprise Manager, who helped craft Austin’s parking benefit district policy. After a thorough community outreach and City Council vetting process, the West Campus district went into effect in January of 2012, and has raised on average around $140,000 annually for neighborhood improvements. At the time the district was created, West Campus neighbors gave the city five projects they wanted to finance, and the city sets the money aside in a separate fund. Neighbors get a monthly financial statement, and every year they meet with the city to revisit the project list. “As you know, cities are always changing, so they’re allowed to adjust the projects being funded depending on the needs of their area,” Grassfield said. So far, residents have chosen to invest parking revenue in wider 18-foot sidewalks on Rio Grande, a busy commercial street running through the neighborhood, as well as benches, lighting, and street trees. Old Pasadena’s Parking Benefit District, called the Parking Meter Zone, is the archetype of the concept, profiled in Donald Shoup’s paper “Turning Small Change Into Big Changes.” It’s a good example of how much more radical these programs can get, depending on the local appetite for them. Shoup offers some background on what Pasadena’s downtown was like prior to the creation of the Parking Meter Zone (PMZ) in 1993. “Old Pasadena became the city’s Skid Row, and by the 1970s much of it was slated for redevelopment. Pasadena’s Redevelopment Agency demolished three historic blocks on Colorado Boulevard to make way for Plaza Pasadena, an enclosed mall with ample free parking whose construction the city assisted with $41 million in public subsidies. New buildings clad in then-fashionable black glass replaced other historic properties. The resulting “Corporate Pasadena” horrified many citizens, so the city reconsidered its plans for the area. The Plan for Old Pasadena, published in 1978, asserted “if the area can be revitalized, building on its special character, it will be unique to the region.” In 1983, Old Pasadena was listed in the National Register of Historic Places. However, despite these planning efforts, commercial revival was slow to come, in part because lack of public investment and the parking shortage were intractable obstacles. For years city planners had been urging elected officials to introduce paid parking in the downtown to create more turnover, but the idea was a political non-starter. In the late 1980’s, the City Manager at the time championed a plan to build a large downtown parking garage to address the parking crunch. It was built, but by the early 90’s it had become clear that the garage was a money-loser, costing the city around $1 million a year. With curb parking unpriced, motorists had little financial incentive to choose garage parking. Mayor Rick Cole, now the City Manager in Santa Monica, decided the city could no longer avoid installing paid street parking, but when he broached the topic at a meeting with downtown merchants, they went “absolutely berserk,” he recalls. That is, until he suggested spending the meter revenue in the district. “I said, what if we took 100 percent of the revenue from the parking meters, but instead of using it to plug our million dollar hole in the budget, we devote it to three things: police foot patrols and horse patrols, daily street sweeping, and monthly steam cleaning of the sidewalks,” Cole said. If there was any money left over, he offered, Old Pasadena could use it to plant trees, fix sidewalks, install lighting and benches, and more. To top it off, business owners would be put in charge of allocating the money. Cole estimated that between parking fines, more garage parking, and additional business activity, the city would close the $1 million deficit. 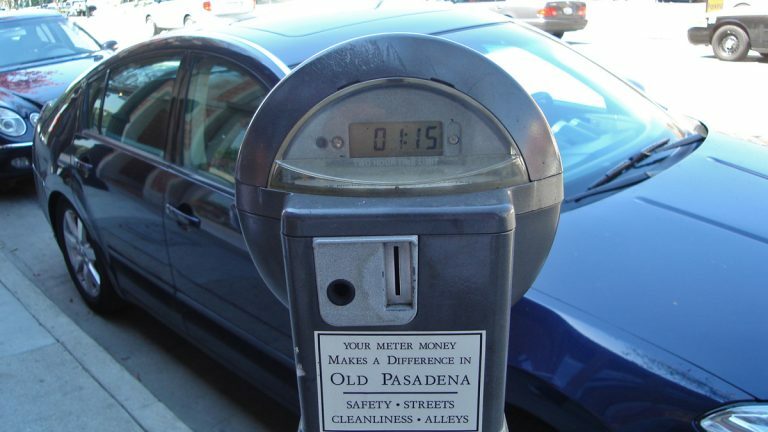 A deal was struck, and the city installed parking meters in 1993, creating a committee of business owners within the Old Pasadena BID to allocate the revenue. They floated a $5 million bond to finance the “Old Pasadena Streetscape and Alleyways Project,” and dedicated the meter revenue to repay the debt. In the five years after the Parking Meter Zone was established, property tax revenue tripled, and sales tax revenues quadrupled over the same period, according to Cole.